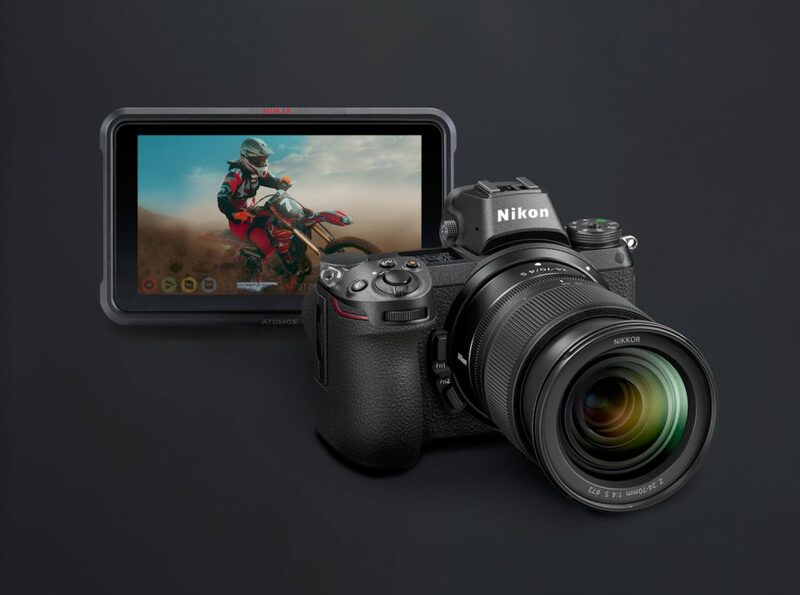 The Nikon Z6 is the World’s first mirrorless camera that can output a 4K full frame image in 10-bit 4:2:2 externally and Atomos has just announced that their Ninja V will support the Nikon Z cameras from launch with N-Log support. Nikon is already showing the Ninja V together with the Nikon Z6 & Z7 at the launch events. To put this into perspective, yes, there are a number of other cameras that can also output a 4K image externally but none of them like the Z6. The Atomos Ninja V was announced back in April at NAB 2018 with an ETA of Q3, 2018 and a retail price of USD $695. With the Z7 expected to ship in September & the Z6, in October, the Ninja V should arrive just in time for those purchasing the new cameras. 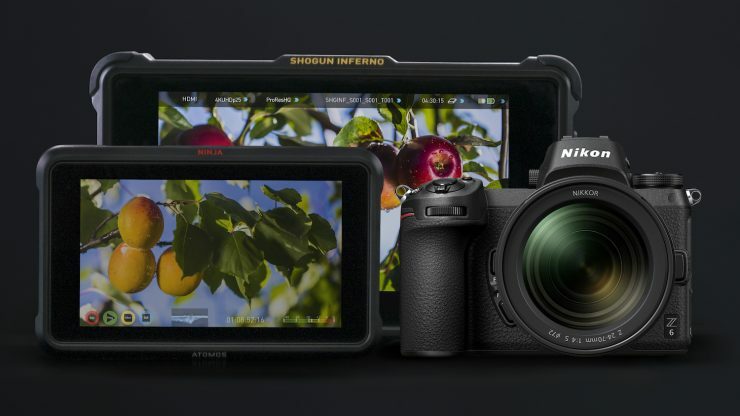 With the Ninja V only being a 5″ monitor and not 7″ like the Shogun & Inferno series, it will be a lot easier to use the camera together with an external recorder like the Ninja V. With timecode and start/stop trigger capabilities, it should be a seamless workflow. When the Z6 & Z7 are connected, the Ninja V can automatically detect and be set up to record the new Nikon N-Log gamma signal for recording with specific presets designed for the cameras. The image can also be monitored in REC. 709. Does this mean that Sony will throw in 10-bit 4:2:2 into the A7s III or will they stick to 8-bit 4:2:2, protecting their cinema line of cameras (FS5/FS7/Venice etc)? Only time will tell. 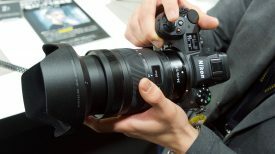 Unlike when Sony released the first Alpha series with E-mount and a small line of A-mount lenses, Nikon has an expansive line up of F-mount lenses which can be used with the FTZ adaptor and a strong roadmap of native Z-mount lenses so will it be enough to move existing Nikon shooters to mirrorless. On the same note, are we going to see a multitude of lens adaptors adapting to Z-mount, opening up the camera to even more lens options? 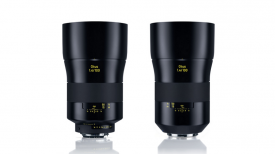 And will third-party lens manufacturers like Zeiss, Sigma, Fujinon start creating native Z-mount lenses? Whatever happens, it’s exciting to see more competition in the mirrorless space. What are your thoughts? do you think the Nikon Z6 & Z7 have raised the bar or are only just catching up? 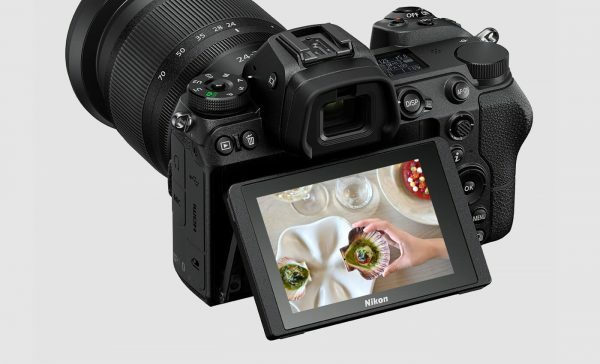 It’s great to see Nikon innovate and take on higher quality 10 bit 4:2:2 video output with the big release of the mirrorless Z7 and Z6 mirrorless cameras. 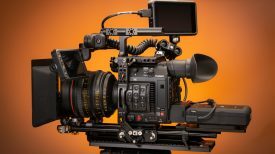 Panasonic pushed the envelope with the MFT GH5 and GH5s with 10 bit internal and out however with the new Nikon Z7 and Z6 mirrorless we are talking about full frame. No disrespect to the MFT sensor, however, this is a “big” deal if high-quality full frame 4K video in 10 bit is something you want. With the use of an HDMI cable and an Atomos recorder, you can record the worlds first 10-bit footage from a hybrid full frame camera. Pretty exciting! Like all cameras these days a log profile is a must and Nikon has its own version called N-Log. With 10 bit out it will be interesting to see what it’s capable of. Not to bring this party down but I have to say I’m disappointed in the choice of the Sony like LCD screen. I would think in 2018 a fully articulating flip-out LCD screen would be a much better choice as opposed to the tilting LCD. Nikon should have embraced the strengths of mirrorless and give users the option of an articulating flipping screen! Is this a feature Nikon thinks is not a “Pro” feature? I most certainly think it is if it assists you in capturing video and stills without adding a monitor. So, what does this mean to the popular Sony a7 cameras? I think the bar has been raised in the hybrid camera world as well as cinema cameras. 8-bit has been the mainstay and 10 bit is the new kid on the block that should be the standard going forward. I for sure welcome that. It’s been a long time coming.